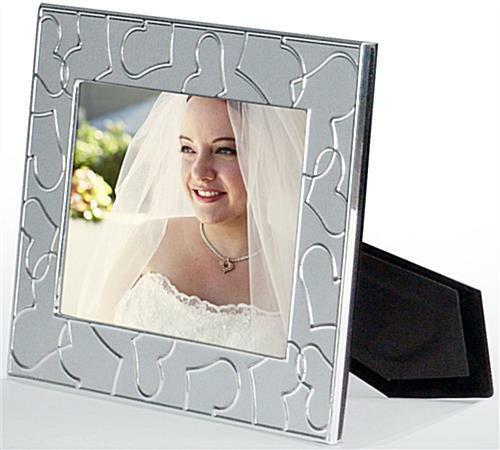 These silver heart photo frames are made of metal and feature a decorative design that's great for photographs of spouses and significant others. 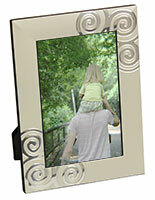 The picture holders feature a double-sided easel for standing on countertops. 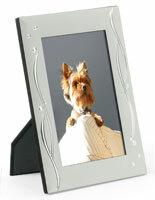 This allows the photo frames to site in a portrait or landscape orientation. 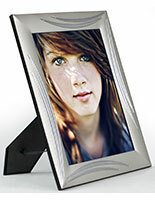 Each of the metal displays can fit a 4"x6" print that is easy to insert into the slide-in backer. 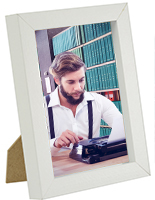 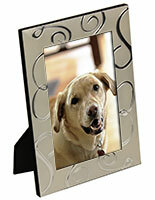 The frames with an easel feature a protective glass cover that protects important photographs from damage. 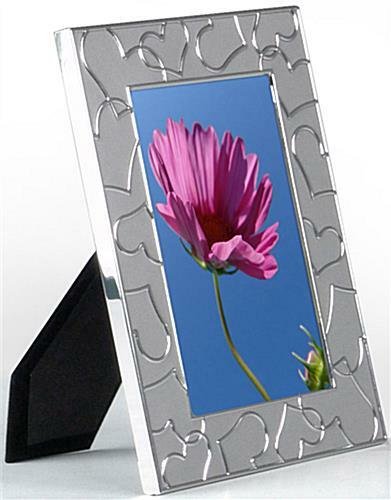 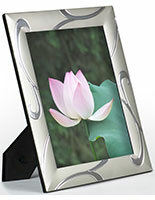 The picture holders with a "lovely" design make ideal gifts for weddings and baby showers. 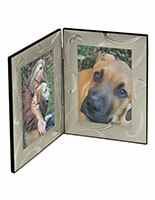 6.1" x 8.0" x 0.375"